When airlines charge ‘ancillary fees’ – selling you things aside from your ticket – it doesn’t even matter if they make extra money. That’s because if you shift money out of the fare and into fees, the airline nets more money because domestic fares are subject to a 7.5% federal excise tax and fees aren’t. With major airlines raking up a billion dollars in checked bag fees, they’re saving about $75 million a year in taxes. Fall mostly on leisure travelers, who are more price sensitive. Higher bag fees will depress discretionary travel. You want to focus your price increases on price-insensitive passengers and this does the opposite. Pushes more bags into the cabin, which slows down boarding. Gate checking bags slows down departure. Delaying flights even a few minutes is costly, Southwest says a couple of minutes per flight would cost them 8 to 10 aircraft. You can’t just push all flights later in the day, you’ll lose passengers when you schedule flights outside the times they want to fly. Checked bag fees make sense even if they cost planes and reduce demand for travel because of the tax savings. They aren’t necessarily raising incremental revenue. As checked bag fees have generated more and more revenue real airfares have been falling. To generate genuine additional revenue a better strategy may be to charge more money for things people actually want and will pay for. That’s why I’ve suggested charging for premium meals in domestic first class. Southwest Airlines doesn’t charge checked bag fees or change fees, and they’ve been profitable 46 years in a row. They don’t offer assigned seats, but generate $400 million a year in early boarding charges which let customers have a better shot at the seats they want. That’s an improvement for those customers compared to the airline’s base product. While they continue to eschew bag and change fees, there’s talk of adding extras that they could charge… extra for. Southwest’s new reservation system has capabilities to charge for more things and it’s been surprising that they haven’t yet deployed it. I hate having to board first for overhead bin space on American when flying up front. There’s often less of an issue with bin space on Southwest, since they don’t charge for checked bags. However it’s still important to board first to get the seat you want. Getting that seat without having to pay with your time would be a value add. 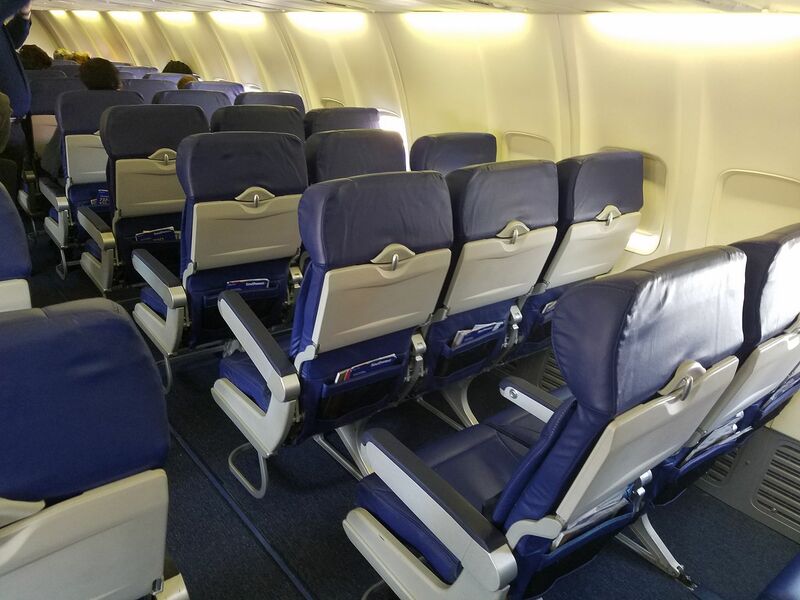 Southwest has said that their product would remain the same even as they launch long flights to Hawaii, it does seem like there’s a revenue opportunity upselling passengers by offering more substantive snacks for sale on board. These would be shelf stable snacks, to avoid having to retrofit galleys with ovens, but could still be substantive offerings. 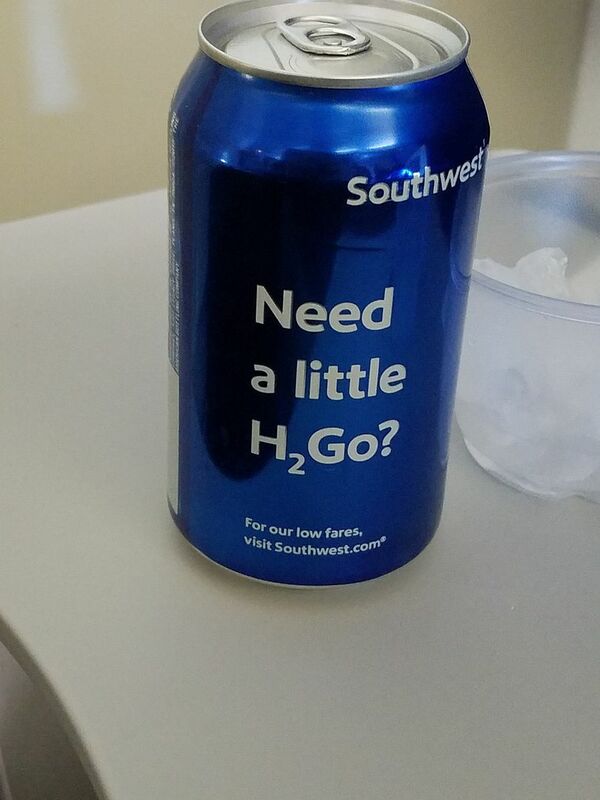 Personally I think their canned water is awesome enough I’d pay for some ‘to go’ and take with me. @Gary: One billion fee revenues? Four and a half billion is more like it. That is $338m in tax savings. Maybe an “airport services” bundled deal with priority check-in, security, A1-15 guaranteed, and priority baggage handling. I don’t get why other airlines don’t offer subscriptions like united does, wn could do a extra baggage allowance subscription, wi-fi, early check-in, and airport services subscriptions. Prior to getting CLEAR, I would always pay the extra $15- on JetBlue in order to utilize the Priority Security lane. Definitely worth it. Perhaps Southwest should push that item. None of these ideas will generate much revenue at WN. Food sales would make sense for longer flights but I don’t see that as a profit center but rather a necessary amenity. The biggest opportunity would be to introduce change fees particularly for award bookings. Or a small fee for CP tickets. How about a rapid exit fee? Everyone stays in their seat for 90 seconds. Those who paid are required to walk fast (or run) off the plane. At 90 seconds, the bell rings and everyone can get off. If you get up before 90 seconds and did not pay, they will “United David Dao” you. Hey Gary I’m waiting with baited breath for these “under construction” ideas. Revenue generators are great for my bonus goals. Now if only they were to offer a seat that was slightly larger. Say, large enough, even, to conduct “business”, such as using a laptop without bumping elbows with the person next to you. This would be an interesting “class” of product in which a number of travelers could have significant interest. Curtain but free booze. I’m unsure of pricing and last I heard they were too and since by doing it it will undervalue BS tickets it’s still not fully blessed so far as I’m aware. Herb Kelleher is gone but only a few weeks and here we are with Southwest already capitulating to the sleazy, dishonest, Wall Street bullies and slime balls searching for ways to better screw the people who built the airline – it’s loyal passengers! NO SURPRISE – but still, what a shame. Not to mention a total betrayal, too. Poor Herb must be spinning in his grave already. WN doesn’t have a same day change policy. They could attract a lot of business revenue with the industry standard $75 for a same day change, which is usually much cheaper than the fare difference for a last second available seat they currently charge. A lot easier to justify $75 on you expense report. @Alex: “They could attract a lot of business revenue with the industry standard $75 for a same day change, “. Obviously not. They can do that now, but don’t. They would lose a lot of business that chooses SWA precisely because there are no change fees. @L3 wn always charges the difference in ticket fare even on the day of travel. This is MORE than the legacy 3 charge typically which is $75 and no fare difference. Nobody would claim this is better for the person or business chosing the fare. If they wanted to keep there “no change fee” slogan, they could cap the fare difference at $75. @Alex: SWA adjusts the fare, so you get a refund of the difference if the new fare is lower than the original one. The Chapter 11 Three don’t refund the difference.